Meeting financial goals requires discipline, patience and time. I had the advantage of being raised with a financial planning mentality and practicing it through various stages and transitions in life. Even so, I’m certainly not perfect so I understand many of the pitfalls that people face. Sticking to your plan (rather than “jumping ship”) is going to help you achieve your goals. Whether it is children learning the value of money, couples strategizing and prioritizing their family budget and investment management, or empty nesters managing their retirement, I believe people are empowered by knowledge and techniques around money and their finances. Financial literacy can happen at any age and any stage in life. I’m very passionate about finding ways to show clients how to pass on the value of financial literacy to the next generation. I really like hearing people’s stories and helping them get where they want to be. I deeply enjoy helping clients who are suddenly single gain their power back. I also like working with young professionals who are striving to balance their home and financial life – let’s just say I can relate to those struggles. I’ve got clients who are ready to retire and want to maintain their lifestyle. I’ve got others who are caring for aging parents or who are facing those challenges themselves. Without exception, I find their stories compelling and my work on their behalf extremely rewarding. We go deep in our relationships and are not transaction-driven. There is a trust that is built and honored over time. Be disciplined in setting and saving for goals, and reward yourself when they are achieved. And don’t forget to have fun along the journey! Spending time with my two daughters and my husband is always at the top of my list. Traveling to warm climates and international travel remains a passion as well. I loved Italy, and one of my favorite trips was to Africa. Global travel both humbles me and expands my mind; I hope everyone has the opportunity at least once in their lives. I also enjoy cooking, trying new restaurants, reading, watching movies, and walking my dog, Marcel. Right now it’s stacked with a variety of parenting books, historical fiction and business coaching books. I like variety so I always have something to pick up and read no matter my mood or interest. Working in behavioral finance and the psychology of organizational management. Nicole joined the Miller Advisors team in 2007, initially focusing on marketing and communications for the firm, and later concentrating on working with clients going through the divorce process. Now as Managing Partner, she works closely with Kathleen to develop customized financial plans for clients as well as assisting them with tax planning, insurance needs, and retirement goals planning and monitoring. A member of the firm’s investment strategy committee, Nicole also oversees Miller Advisors’ marketing and communications as well as SEC compliance and business and team management. She continues to specialize in helping guide clients through the divorce process, preparing them for mediation as well as creating customized post-divorce financial planning strategies. 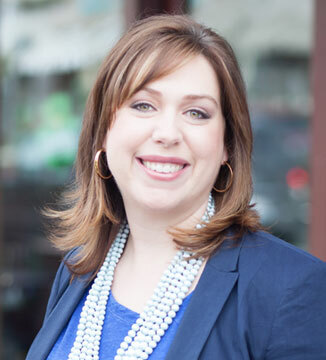 Nicole is a Certified Financial Planner®, a Certified Divorce Financial Analyst™ and holds a Bachelor of Arts degree in International Business and German from Linfield College. While pursuing her degree she spent time abroad studying in England, Austria, Japan, and South Korea. Prior to joining Miller Advisors she worked at drugstore.com where she managed public relations and online marketing for several of the company’s key partners.